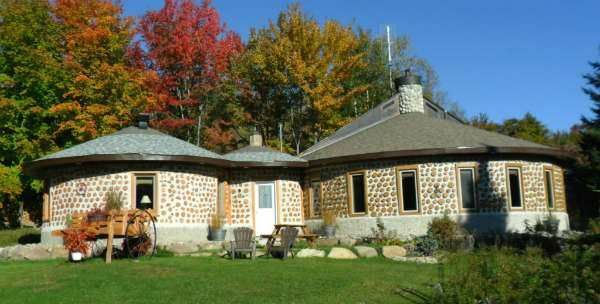 Sandy & Angelika Clidaras built their cordwood dream home north of Montreal, Quebec in the early 2000s and wrote about it in a blog and authored articles in the Cordwood Conference Papers 2005 and 2011. Sandy even came and spoke at the 2005 Conference in Merrill, WI. 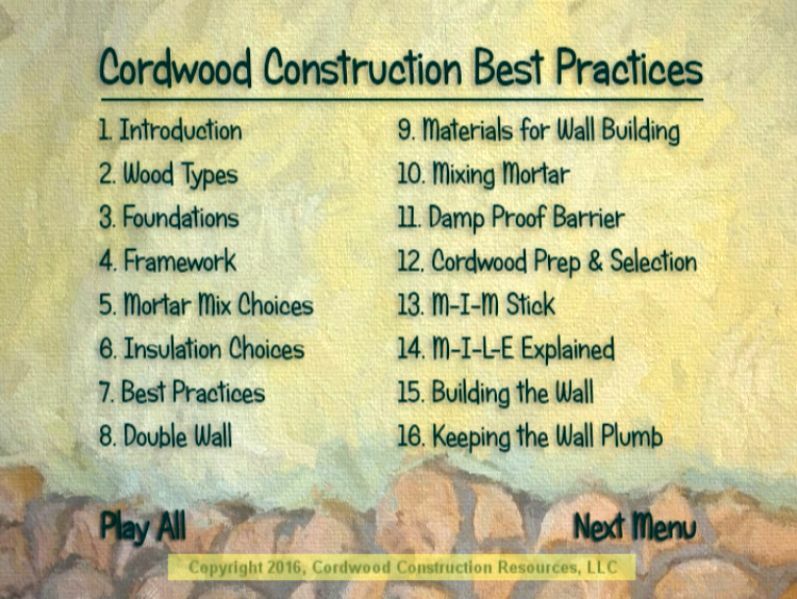 He has helped many wannabe cordwood builders with advice and assistance. A wonderful vacation is a phone call away. 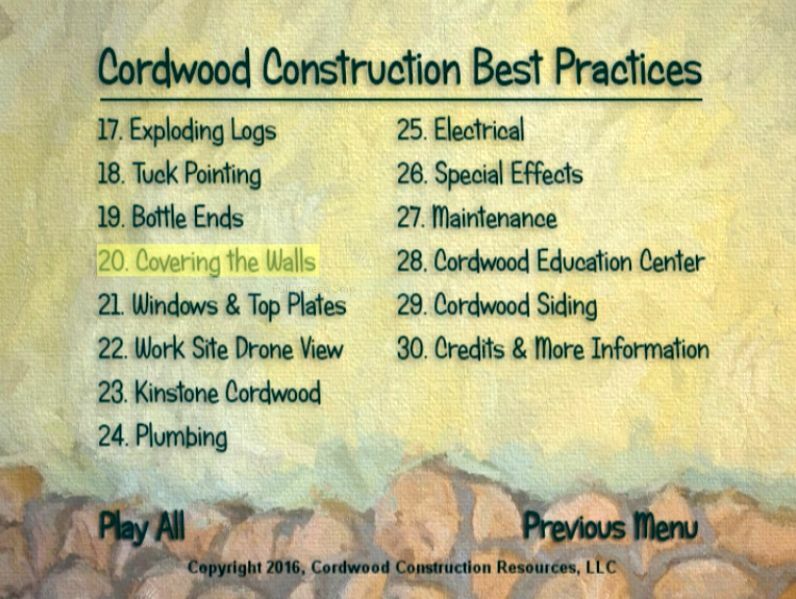 Sandy was super helpful in giving directions on using closed cell foam for insulation for the White Earth Cordwood Home. 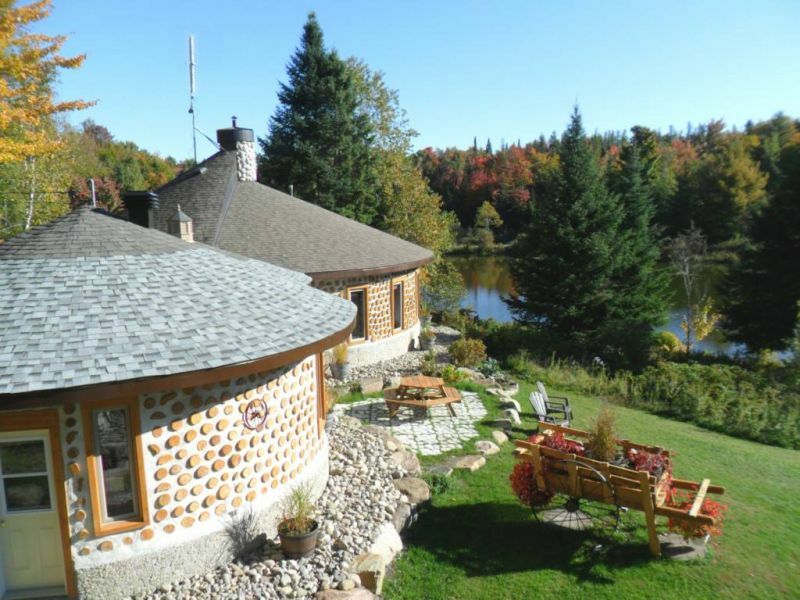 The Cordstead near Montreal, Quebec, Canada is offering an experience in cordwood living. The Cordstead overlooks a pretty lake and has many fine views of the surrounding area. 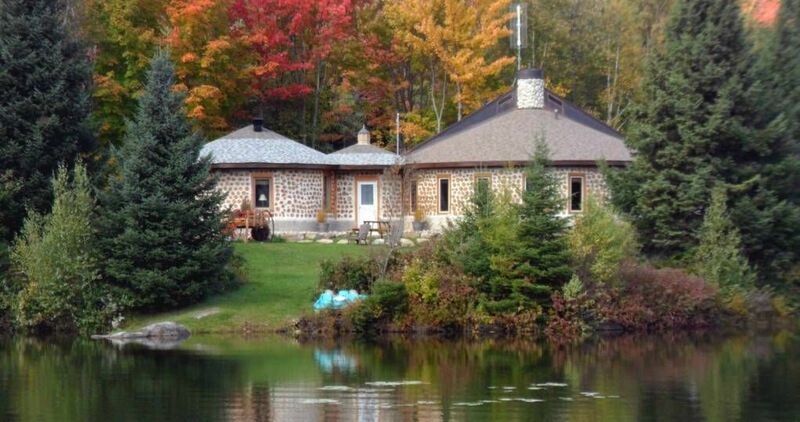 “We’ve been very busy with our final detailing of the Cordstead (our retirement Cordwood Dream Home) and now have the last phase of our Cordwood building ” Littlestead” completed. 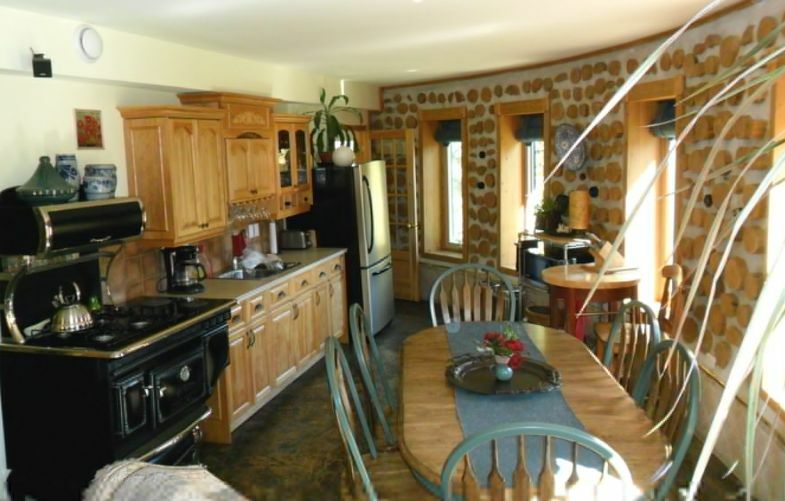 Enjoy your breakfast in the beautiful dining area and see what a round cordwood home “feels” like. 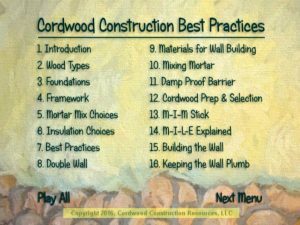 With Littlestead complete, we have the opportunity to offer folks who are considering to build with Cordwood the possibility to experience a short-term stay in a Cordwood home environment. 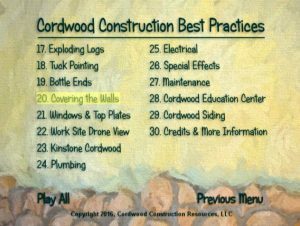 This may be an important experience to help future Cordwoodies decide if the Cordwood building journey is suited for them. The Cordstead is located north of Montreal, Quebec, Canada in the Laurentian Mountains. Take the paddle boat out for a ride or have a lovely breakfast on the lakeside lawn. Thank you, Sandy, for sharing your wonderful homestead.